I’m still working on making a hat or two for the Kanine Kap Kampaign. 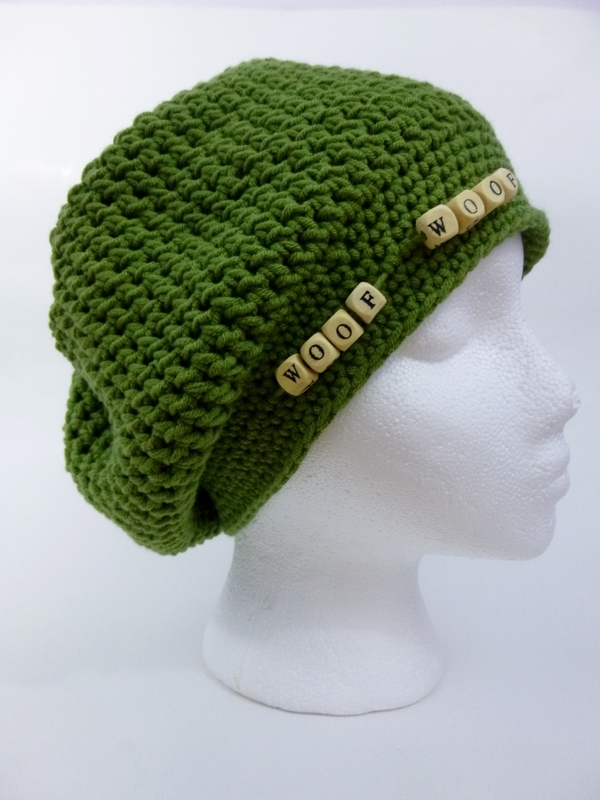 I just finished my second, Woof! Woof! The pattern was improvised as I went along and used EXACTLY a full skein of Hushabye Solid by Baby Bee. This is a really soft 50/50 cotton/acrylic blend in aran weight. I’m really pleased with how the slouchy style turned out and it will likely end up as a pattern in the future but most likely minus the Woof Woof. The hat weighs in at 3.5 oz. This entry was posted in 2014 Chemo Hat Challenge, Charitable Crochet, General Interest and tagged charity, chemo, craft, crochet, dog, Halos of Hope, knit, silly. Bookmark the permalink.